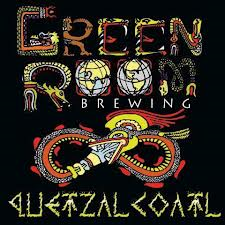 The end of the world never happened so Green Room is brewing Quetzacoatl again! A delicious 11% abv ale brewed with cassava root, poblano and Serrano peppers, chocolate and vanilla. 500 bottles will be released on December 21 along with limited edition t-shirts.